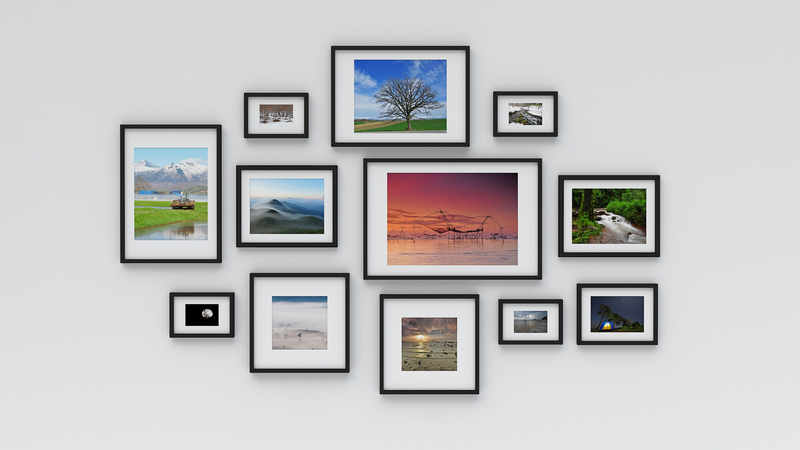 Creating gallery walls or clustering posters together always packs a punch, but what if you're tired of doing the same-old, same-old? Lucky for you, there are so many fun and unexpected things that you can frame that fall outside of vacation pictures and colorful prints. From vintage stamps to your grandmother's secret apple pie recipe, read ahead to see what you can stick behind a frame. Whether you have leftover wallpaper from a previous project, or love a particular print but can't afford to paper the whole room, framing the pattern like it's a poster is a smart design project that will bring a fun splash of personality into any room. And there are so many ways to do it! You can frame it like art like Cup of Jo did here, and at the lead of the post, you can break it up into four different frames to make a colorful gallery grid, or you can even capture it in three floor-to-ceiling frames to add an exciting design element to your room. Record albums look lovely captured in frames and arranged into grid gallery walls, but what if you have a CD collection you would like to show off instead (because what else are you doing with those now that you can steam everything)? Rachel from Simply Gifted created wall art from her favorite bands. She went to a frame store and had them create a custom mat for the album covers, but you can cut your own at home if you want to save some money.